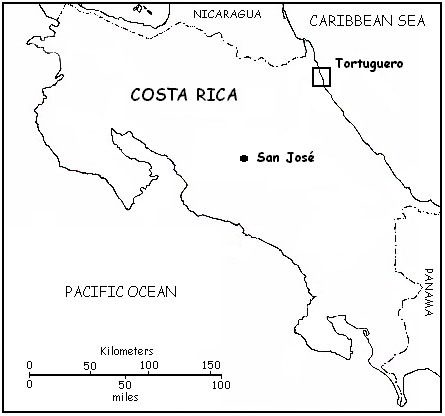 Tortuguero is on an island and is not accesible by road but there are many ways an independent traveller can get to Tortuguero by bus or rental car to a boat launch or by plane direct from San Jose. We can give you advice about travelling here from just about anywhere in the country or you can click on the links below. Contact us at safari@racsa.co.cr to find out the best way to get here depending on your budget and travel itinerary. 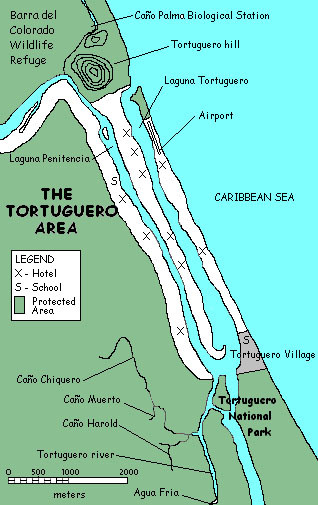 The map above shows details of the Tortuguero area. We look forward to having you stay with us while you explore this unique and wonderful natural paradise.